Manhattan one of New York City’s five Burroughs is the most powerful economic financial city in the world. Home to Wall street, located in lower Manhattan, the New York stock exchange the worlds largest, NASDAQ the worlds second largest exchange measured by total capitalization and a 2016 niche survey magazine showing NYC is number one in the country for private (expensive) high schools. Manhattan is considered by many the cultural and economic center of the United States. Manhattan is the most densely populated of New York city’s five Burroughs and is home to some of the worlds most valuable real estate. 1.6 million people living in less than 34 square miles. With land at a premium, numerous green condo skyscarpers are booming and flourishing with huge demand from international investors combined with the exclusive location in the worlds most powerful city. Ultra luxurious green condos being constructed now use unique designed urban architecture which are now located in every corner of Manhattan. Battery park, Chelsea, Tribeca, Murray Hill, Upper east side, Upper West side and Midtown West. Prices range from one million dollars for a small studio, to well over 20,000,000 dollars for more prestigious condo locations. Green skyscrapers designed and constructed using futuristic distinctive sustainable architecture, offer unobstructed spectacular views of Central park, the Hudson river, statute of liberty, Empire state building, Grand Central Station, and New York City trendy cosmopolitan lifestyle. The New York City skyline and individual neighborhoods are actually changing due the unbelievable design architecture of these green condo skyscrapers. All of these green condos are Energy Star and LEED certified. The very top ten percent of the green condo market in terms of price, is dominated with units of Central Park views and downtown penthouses. With prices for an average one bedroom green condo over three million dollars. Many buyers actually contract with specialized green brokers as buyers agents to represent their interest, not the sellers interest. 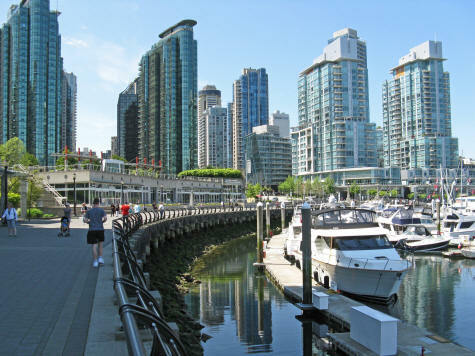 The green brokers specialized knowledge combined with green appraisers facilitate the implementation of the green mortgage for discriminating future green condo owners. Transparency, knowledge and strategic green collaboration is the key in all green real estate transactions. Up until the late 1990’s many of these condos were constructed with an outdoor Terrance or balcony, due to a loophole in the local building code many of these owners constructed “temporary”greenhouses or sunrooms. There never was any intent to put plants in these “temporary” sunrooms. The whole idea was to increase the livable area which was not included in the floor area ratio (FAR)calculation. All of these green condos with enclosed sunrooms now sell at a premium price as these sunrooms now offer more livable area, and beautiful scenic views of the city. Each green community offers a myriad selection of amenities including: 24 concierge, sauna rooms, five star amenities, private wellness centers, billiards, children’s game rooms, solar and wind power, rooftop gardens utilizing recycled grey water systems. Close proximity to world famous restaurants, luxury shopping districts, unbelievable night life activities for the whole family to enjoy! In a congested urban city, land is scarce and a valuable commodity open green space is at a premium. 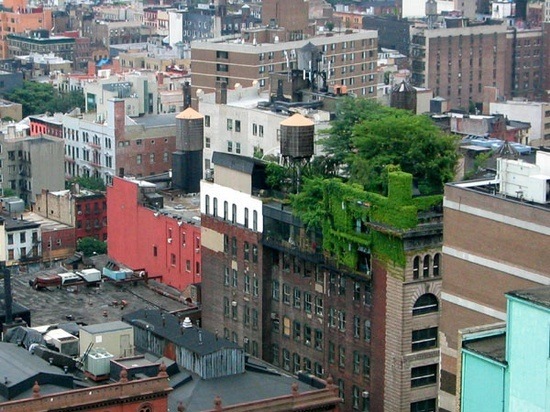 Green condo owners seek out condos that offer roof top green space. These spaces are unique offering outdoor concerts, organic gardens, rooftop restaurants or a place to relax and unwind from the stressful New York lifestyle. Individual indoor air filtration and ventilation systems. Energy efficient management systems, sensor controlled lighting systems. Energy efficient ceiling to floor triple pane low E windows allowing natural sunlight and stunning views! Manhattan green penthouses all constructed uniquely for discriminating buyers. These rooftop green condos are sold at a premium price point. Currently topping over 50 million dollars for a single green condo. 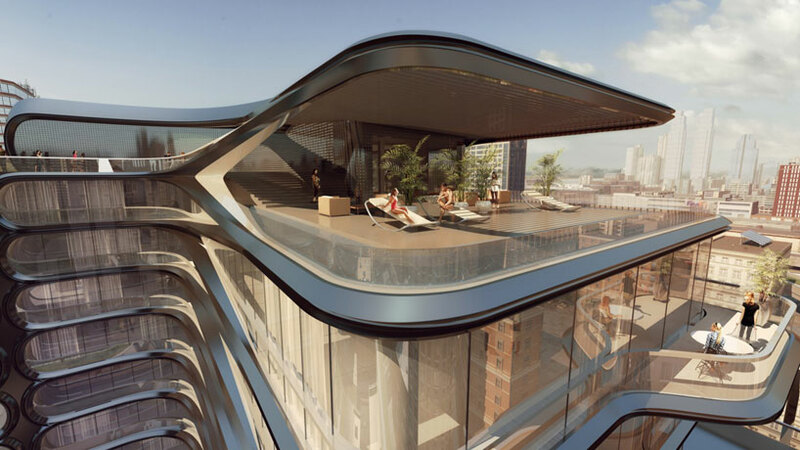 Each amenity is exquisitely crafted catering to the billionaires of the world. Every individual green condo is uniquely constructed using advanced sustainable technology for your families comfort. Constructed in a walkable neighborhood with world class amenities at each doorstep. Underground subways for your convenience offering the ultimate in environmentally friendly living! New York city is responsible for 10% of the nations GNP. As climate change is now real, despite Republicans continued denial, and can be documented by scientists worldwide. With Greenland and Antarctica polar ice melting quickly, sea levels rising, being measured and documented, projected to rise several feet in the coming decades. The hard lessons witnessed from Hurricane Sandy, now in the rear view mirror and costing New York 60 billion dollars in rebuilding. Prudent action needs to be implemented. Offering some of the most expensive real estate on the planet with Manhattan office space now costing over $73.00 per square foot. Some top end office leases now cost over $150.00 per square foot. Valuable real estate needs to be physically protected. Manhattan has been awarded 335 million dollars in federal funding for resiliency improvements from the housing and Urban development. A ten foot high resiliency wall is being constructed around the entire 10 miles of shoreline to protect the sinking island of Manhattan. No longer the talk of science fiction, The 10 mile resiliency wall will be constructed in sections. The first section of two miles will begin construction in 2017 from Harrison street to Montgomery street. The ten foot high resiliency wall, dubbed the “big U” constructed of steel and concrete berms. Later coined the “dryline” will also consist of bike paths, skateboard parks, ball fields, adding trees and grass to be used year round by residents and international visitors. The City of New York has added 170 million dollars to the project. The city of New York expects to eventually spend upwards of three billion dollars constructing the resiliency wall around the entire island of Manhattan. Out of all the proposals from engineers, architects, urban planners and government officials. Four project finalists have been selected to work on the Manhattan Dryline resiliency project. The dryline is designed to be a urban public elevated park, green space, with retractable flood walls, storm water management system to be used all the time. One finalist Living Breakwaters proposal includes reseeding oyster beds to act a has natural element and has partnered with billion oyster project. Another proposal includes two additional bridges which have been proposed at a cost of 27 million dollars which already has received committed funds. The reality of global warming is now front and center in the United States. The dryline is the first of many future green infrastructure coastal projects to be constructed in the future to avoid an Atlantis scenario. Currently the government has stepped up its efforts in resiliency projects funding. To inquire about the Greencondos.com domain name.